Everything changes. 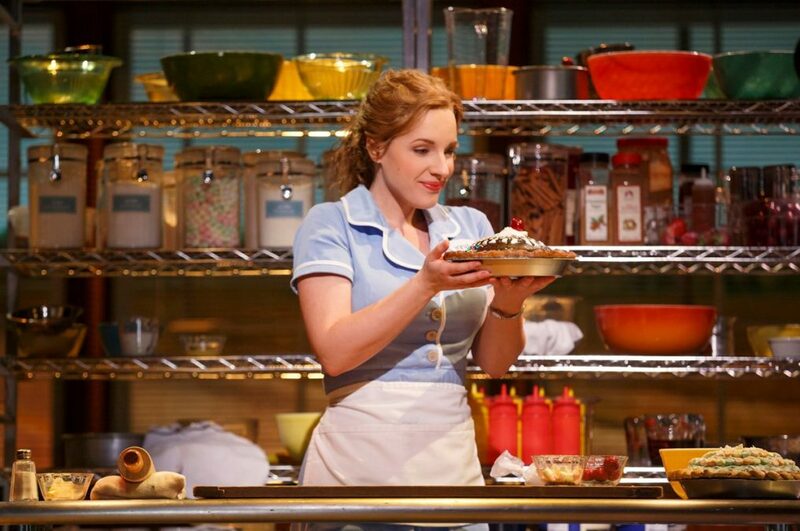 Jessie Mueller is set to play her final performance as Jenna in Broadway's Waitress on March 26, 2017; her replacement will be announced soon. The show is currently booking through June 11 at the Brooks Atkinson Theatre. Directed by Diane Paulus, Waitress marks five-time Grammy nominee Sara Bareilles' stage-writing debut. Based on the 2007 film by the late Adrienne Shelly and book by Jessie Nelson, the tuner follows Jenna, a small town waitress stuck in a loveless marriage. As a nearby baking contest approaches (and a new doctor comes to town), she’s torn between her commitments and—thanks to her pie-making expertise—a chance at freedom. The cast also includes Eric Anderson, Charity Angél Dawson, Christopher Fitzgerald, Drew Gehling, Caitlin Houlahan, Dakin Matthews and William Popp. Waitress' national tour will begin at Cleveland’s Playhouse Square on October 17.